At PORCEL the procedures of manufacture are accurate, precise and detailed, always looking to achieve perfection in every piece, our products are made with the best Limoges body imported directly from France. 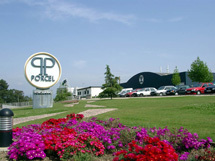 Offering a wide range of products and investing in research and development of new lines, PORCEL makes efforts to follow the latest trends and market demands.Recognized both nationally and internationally, PORCEL is proud to be distinguished for the high quality of its products, for the positive approach to challenges and innovation and for its vision of the future. Specialized in domestic and decorative porcelain products, PORCEL also offers to the clients an exceptional service of custom made orders. 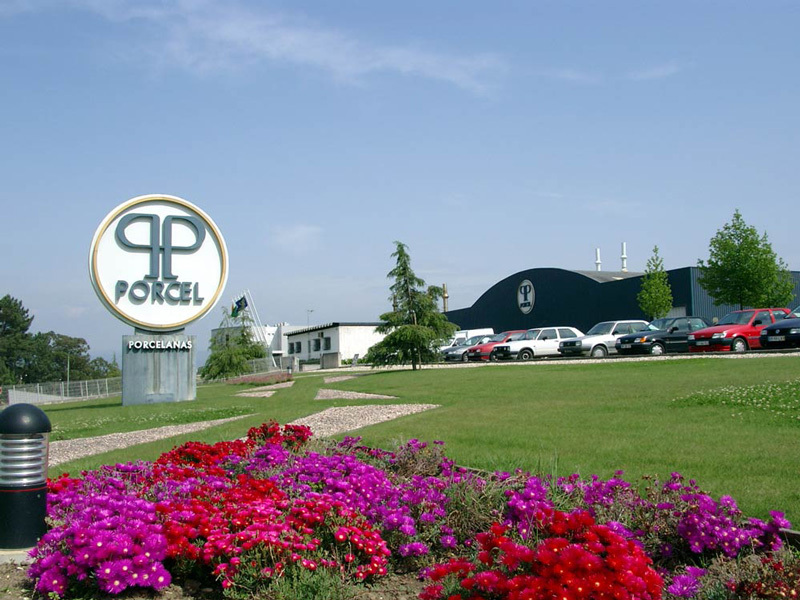 PORCEL reached a steady place in the porcelain industry when competing in a market with centuries of tradition in the manufacture of porcelain, and had its efforts rewarded in the international market, where it invested and made the difference with high quality products. Taking part of international events, taking place each year, such as Ambiente in Frankfurt, Maison & Objet in France, Tabletop in New York or Index in Dubai, is part of PORCEL's strategy of internationalization to reach new markets and opportunities of expansion and growth. For PORCEL the selection of materials is important, each piece is designed, shaped and moulded according to strict standards of accuracy. 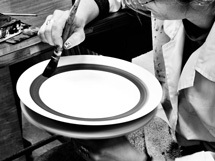 Our porcelain is known to be translucent, non-porous, strong, scratch resistant, microwave and dishwasher resistant. Translucent: a quality of which the body/piece lets the light go through and difuses it, true porcelain, combined with a certain body thickness, has this feature. Non-porous: PORCEL porcelain is fired at 1400°C which allows a fusion of all particles, this process gives a soft and perfect finish to the porcelain, without porous, cracks or water absorption. Strength: PORCEL porcelain has greater strength than any other kinds of china such as earthenware or sand stoneware. 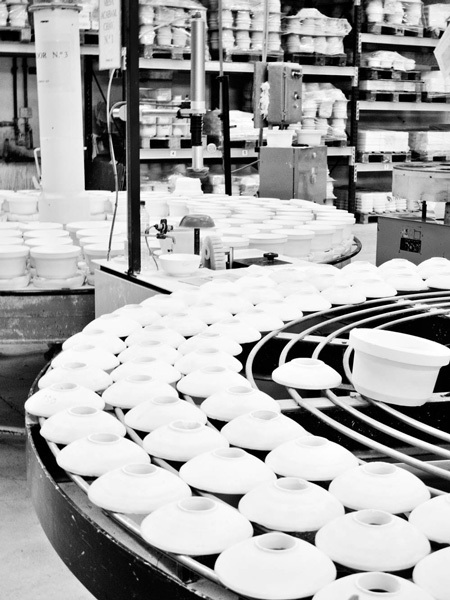 Our porcelain goes under periodic tests in order to keep the resistance impact and chipping controlled. 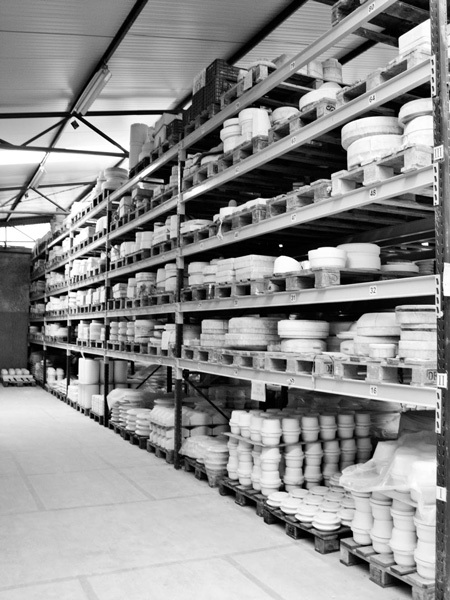 Scratch Resistance: Porcel plates, fired at 1400°C have high resistance to usage and "knife scratch", we conduct testes to our products to assure this feature and offer guarantees to our clients. Microwave and Dishwasher Resistance: to be resistant to the microwave porcelain cannot absorb water, has to heat only by induction and needs to have a low breakage risk. Pieces with gold or platinum decorations cannot be used on the microwave and dishwasher. PORCEL has been making self-promotion efforts, in order to consolidate its brand image, focusing the product offer not only in tableware and giftware areas, but also in specific markets related with special projects. Focusing increasingly in design, as a way to become a reference in the national and international markets, PORCEL releases regularly new lines of products, based on proposals from resident and foreign designers.